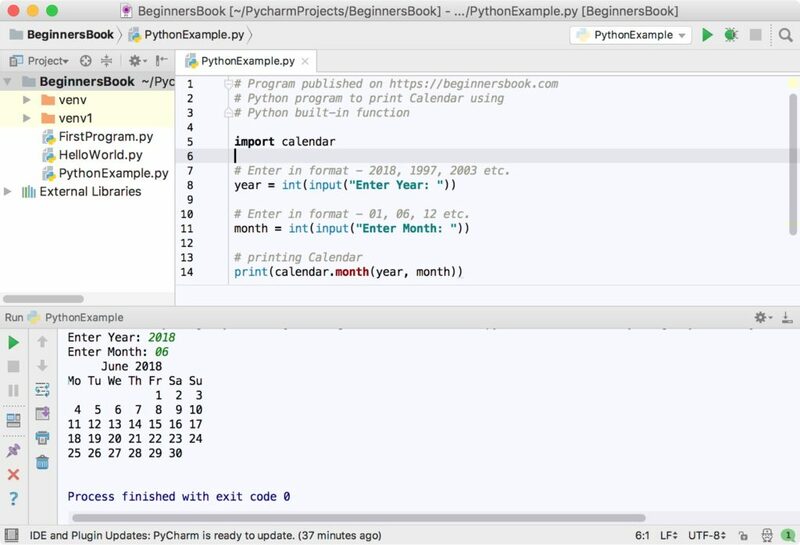 We can use the built-in function month() of Calendar module to print a Calendar in Python. The function month() requires two arguments to display a Calendar of given month, first argument is the year in four digits format for example, 2003, 1997, 2018 etc. and second is the month in two digit format, for example 01, 04, 12 etc. This program prompts the user to enter the year and month and based on the input it calls the month() function which displays the Calendar of the given month for a given year. # Enter in format - 2018, 1997, 2003 etc. # Enter in format - 01, 06, 12 etc.